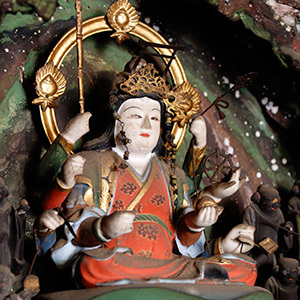 A recent research revealed that the Monjyu statue was provided by a high priest Chogen for a part of its projects to rebuild Todaiji Temple that was burnt down by the fire during the war in 1180. 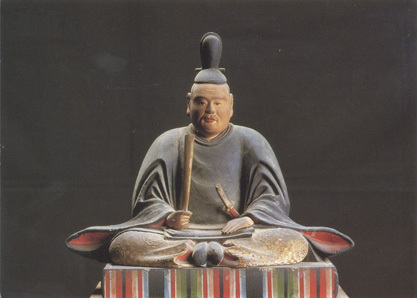 The priest Chogen dedicated to the Monjyu Bosatsu and enshrined the statue in Abe-Monjyuin Temple because Abe had a strong relationship with Todaiji Temple. This historical discovery was very important and the Monjyu statue and other four statues were designated as National Treasures. A main Buddha of worship riding a lion with four companions. 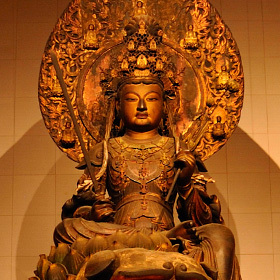 The Monjyu statue and other four statues are National Treasures. 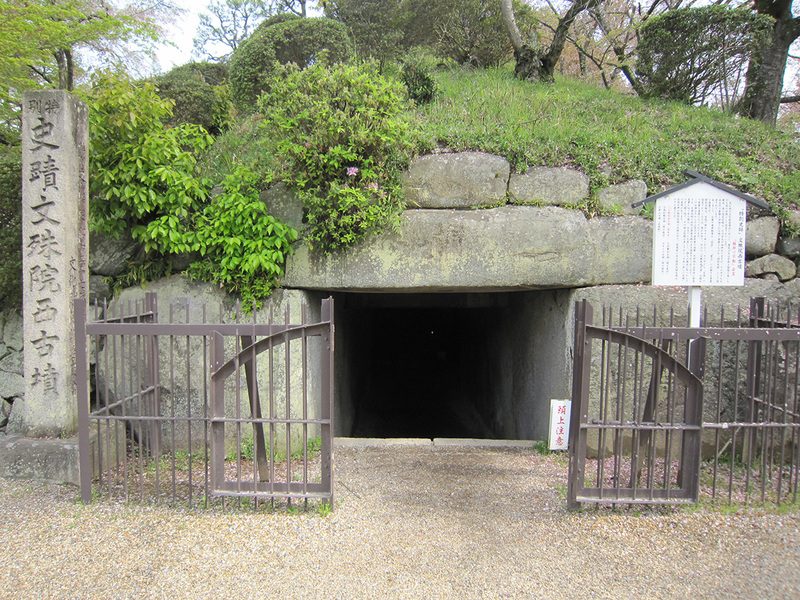 Carved by Kaikei in 1203. 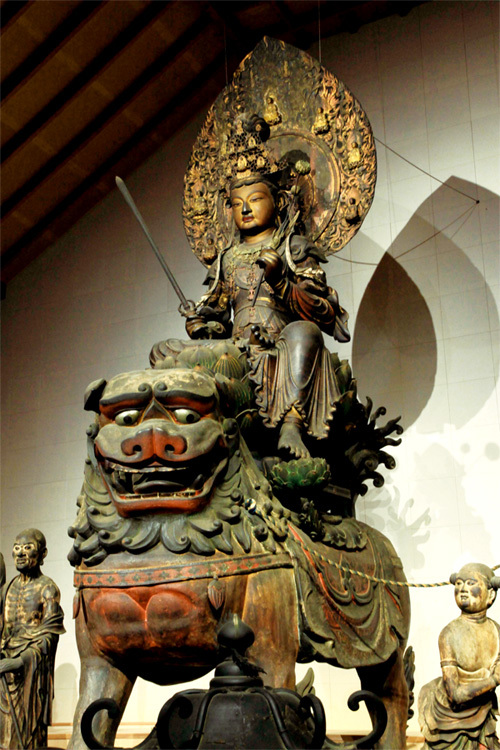 He is represented riding a lion and holding a raised sword in his right hand, symbolizing the cutting away of ignorance. In his left hand he holds a lotus flower, symbolizing love and compassion. 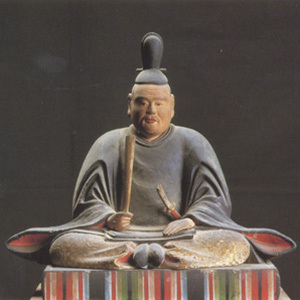 the youth Zenzai Douji, the king of Khotan (Utennou), the elder Saishou Rounin, and the monk Buddhapari. 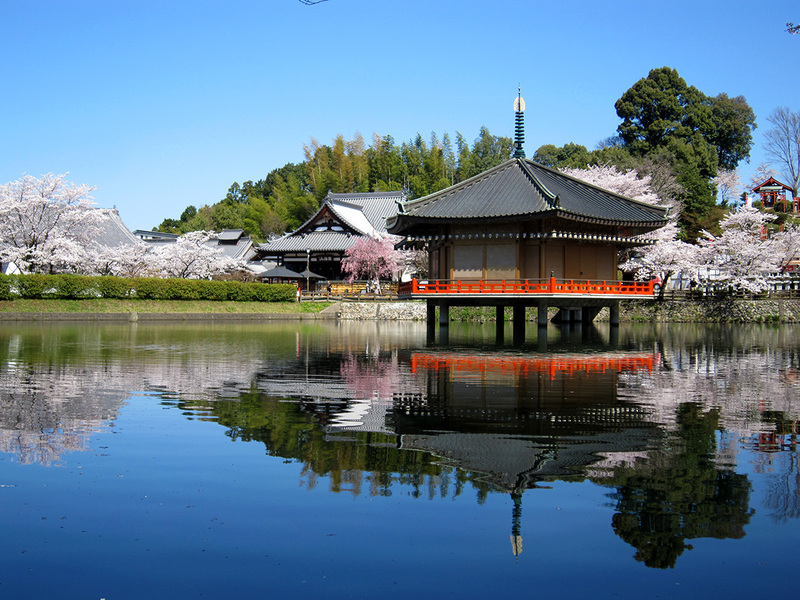 Ukimi-do Hall is also called Nakamaro-do and enshrines famous historical figures such as Abe-no-Nakamaro and Abe-no-Seimei both of them were born in this temple. 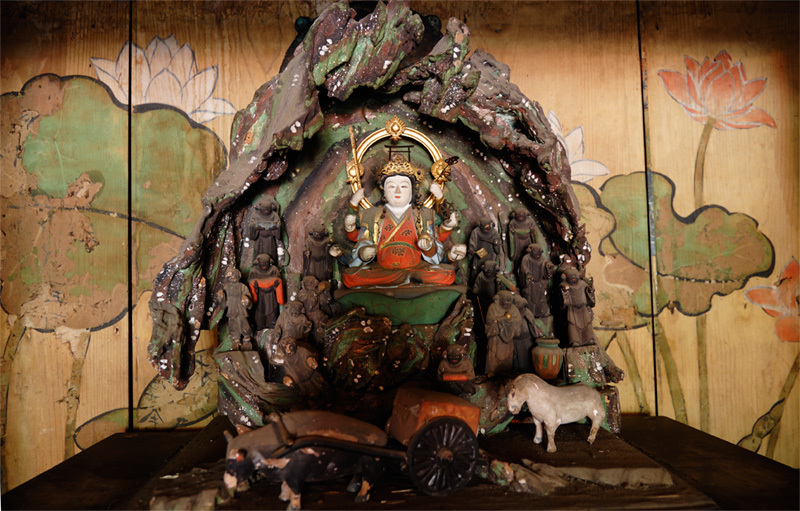 The main object of worship of this hall is Benzaiten, a deity which brings good luck. 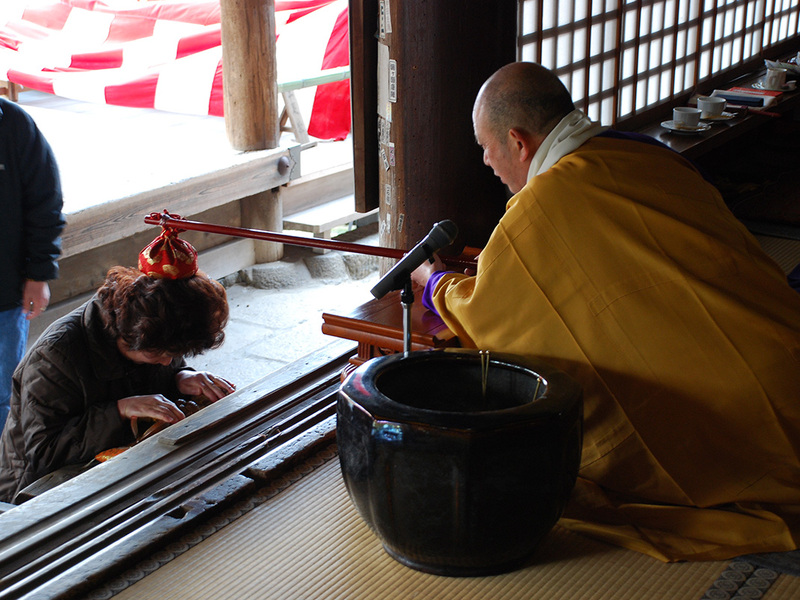 “Shichi-mairi” prayer is walking around the hall seven times while praying, each time, for a wish to come true. The hall also exhibits temple treasures. 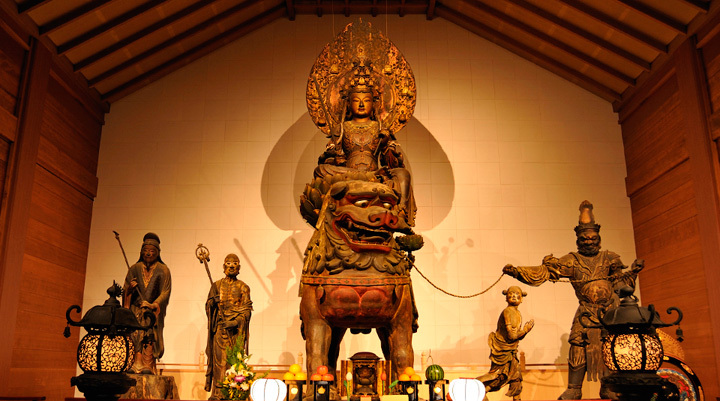 Benzaiten is a deity who brings good luck. She has eight arms and 15 boy attendants. 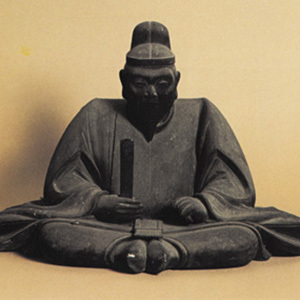 A Japanese scholar, administrator, and waka poet of the Nara period. He went to T’ang China as part of an embassy in 717 and became the first high ranking Japanese official in China. 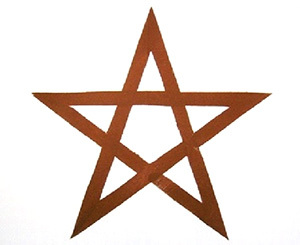 A famous fortune teller of Onmyo-do that is a traditional Japanese esoteric cosmology based on the Chinese philosophies of five elements and Yin and yang. In ancient China, there were two philosophies, “Yin and Yang” and “Five Elements” which try to explain all things in the universe. “Yin and Yang” explained that all things were attributed to the balance of two opposite energies of positive and negative, such as heaven and earth, the sun and the moon, male and female. “Five Elements” explained all things referring to the movement of the five elements: wood, fire, earth, metal and water. These philosophies merged into one and people applied it in their daily life. 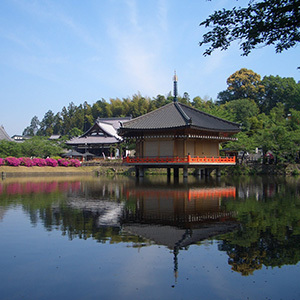 The philosophy, introduced to Japan in the 6th century, was an accepted method to forecast fortunes and developed uniquely in Japan as “Onmyō-dō”. 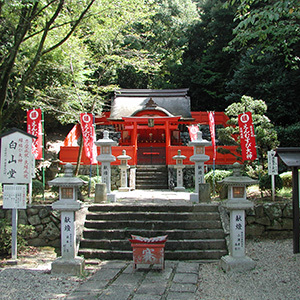 Hakusan-do is a shrine known for its power to grant love matches. 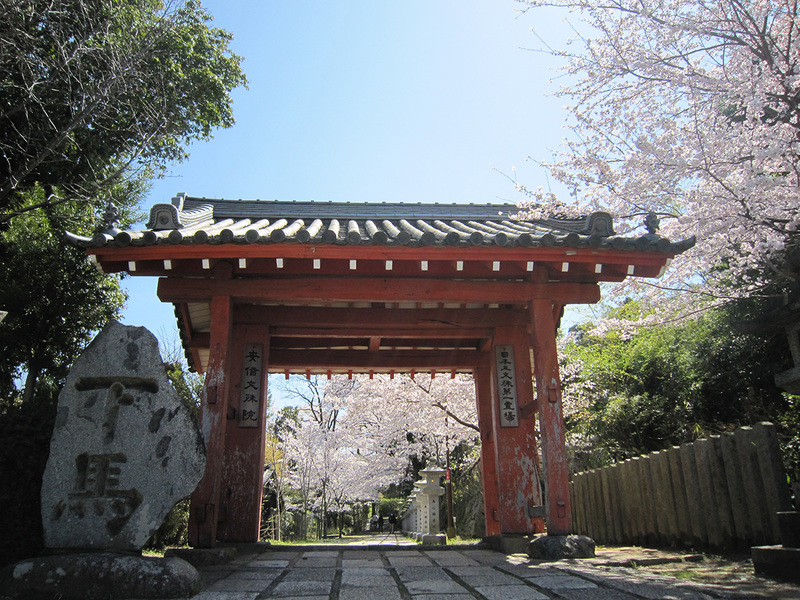 It also said that Kami spirits enshrined in this shrine cut off any negative karmic links and lead to the forming of positive karmic links. 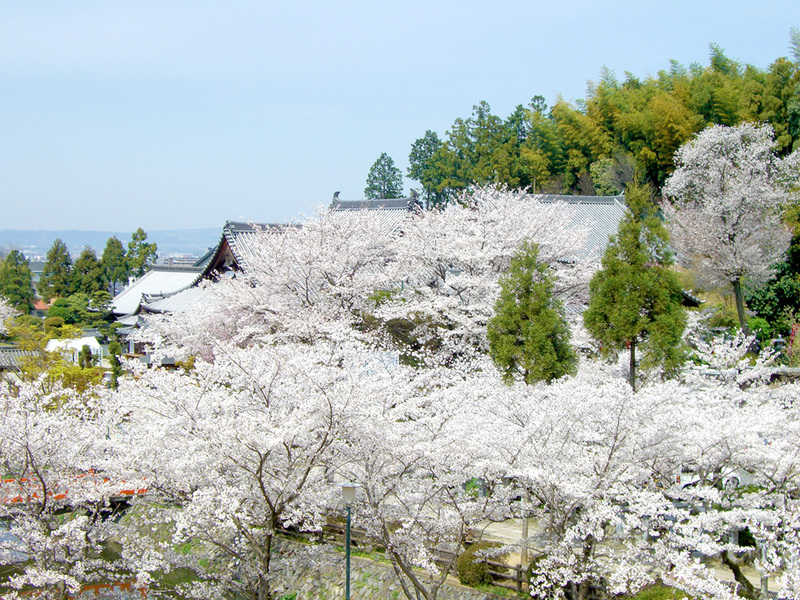 The primary object of worship is Hakusan Mountain located in Ishikawa Prefecture. 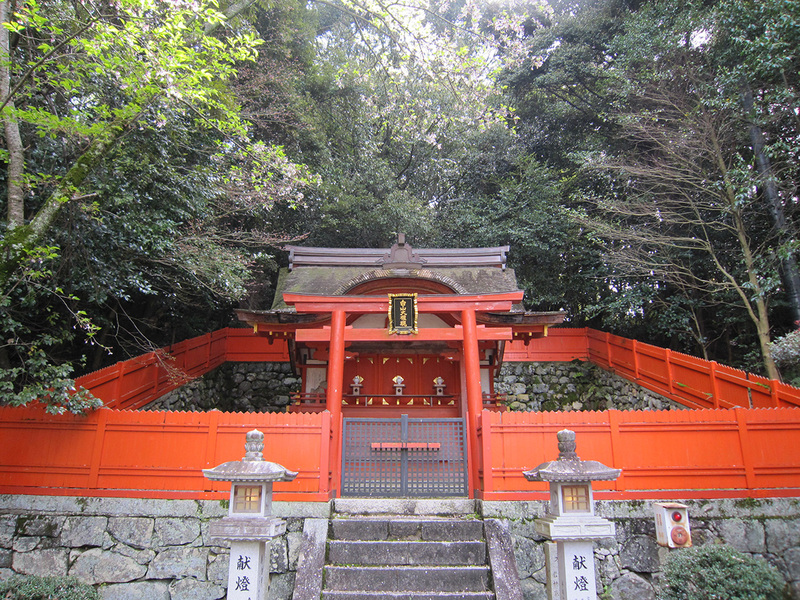 Abe-no-Seimei (921-1005), a famous fortune teller of Onmyo-do, worshiped the Spritual Mountan “Hakusan” therefore a branch shrine of the mountain was enshrined here. Prayers made at Abe-no-Seimei-do Hall to ward off evil spirits or to improve one’s fortune, or other prayers of like kind are said to be efficacious. 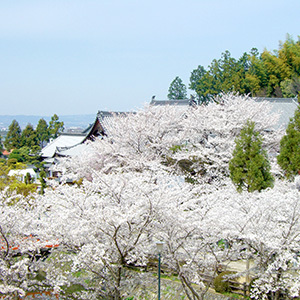 There is an observatory where Abe-no-Seimei observed and studied stars. 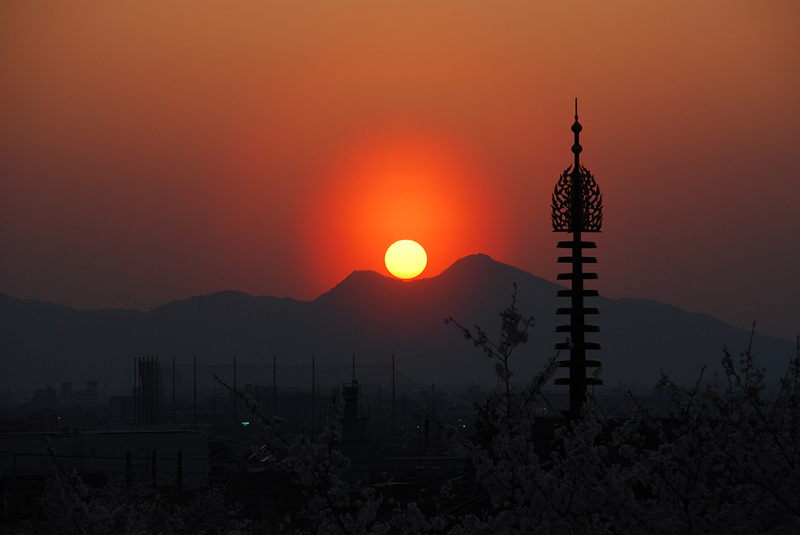 The picture is the sunset above the sacred Nijyō Mountain in the West. 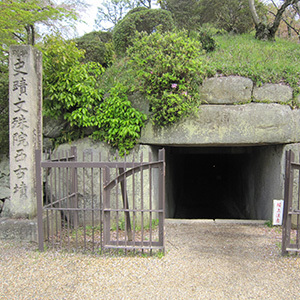 Only seven Kofun Mounds in Japan are designated as Special Historical Sites by the government and the “Monjyu Nishi-Kofun” has one of the most beautiful symmetry structures. 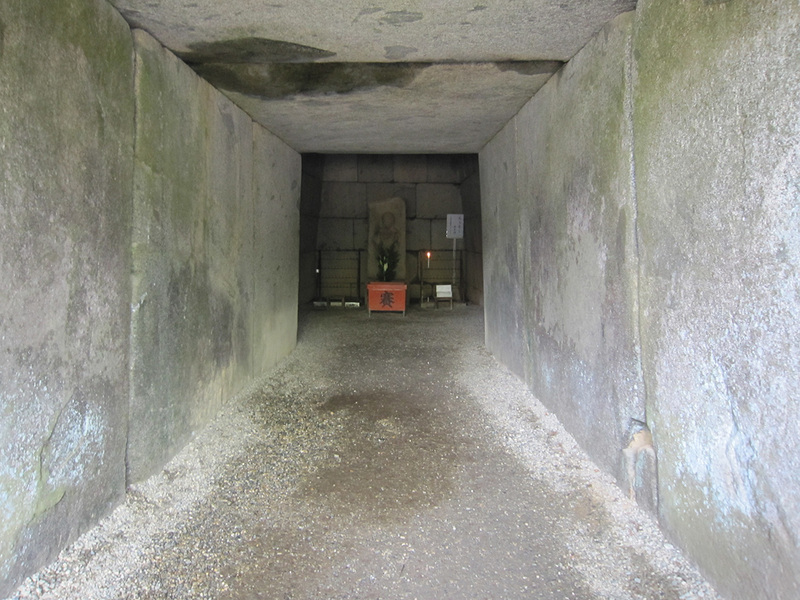 A stone carved Fudou Myouou or the Unmoving Guardian is enshrined within the mound. 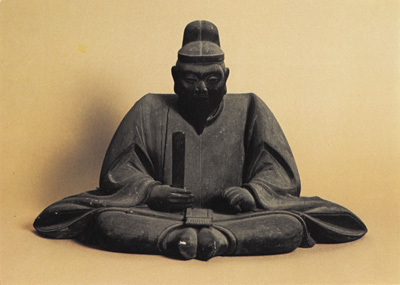 It is said that Saint Kōbō Daishi, the founder of esoteric Shingon Buddhism in Japan, made the stone statue. There is an inscribed stone in front of the gate which means “Off a horse".Everyone had to get off a horse and walk to worship the buddhas enshrined in this temple. 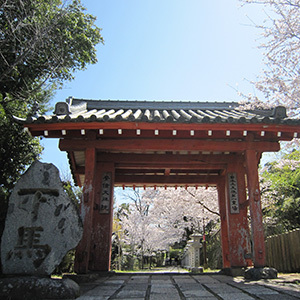 This gate has never been closed since the foundation of this temple so that everyone can enter the precincts of the temple freely and pray anytime. A pouch is placed on visitors head to receive wisdom. 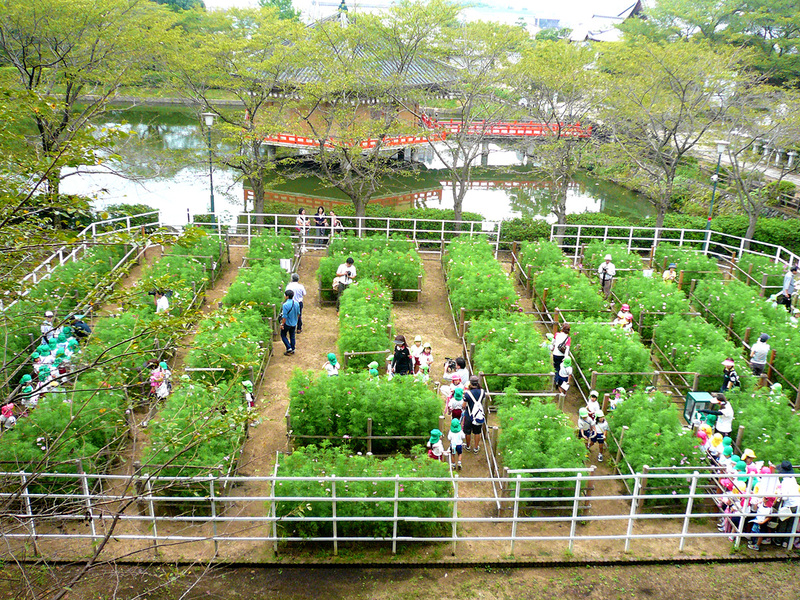 Free Cosmos Maze made by the staff of the temple. 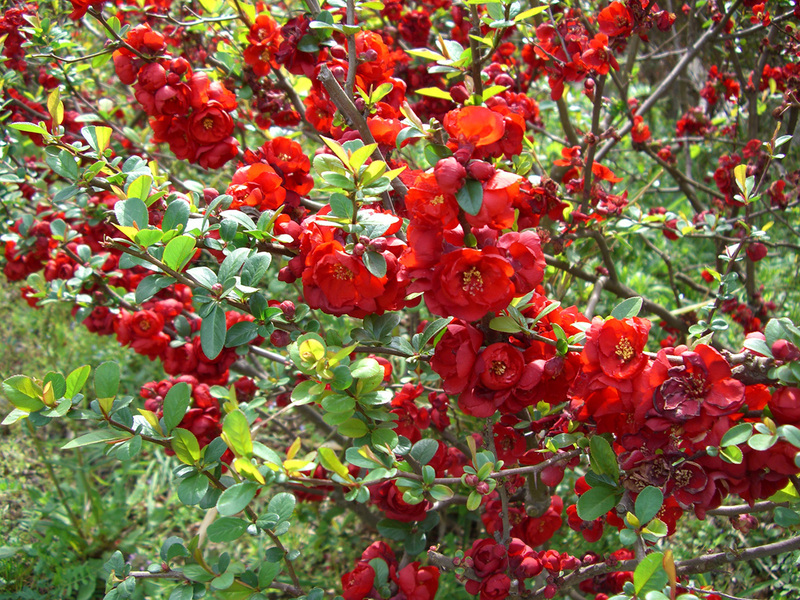 More than 30 kinds of cosmoses are planted each year.